Obviously there is no need to write something for a superstar dj here indeed. It is also partly against of our restrictions , style and policy that we don’t really like superstar djs to be featured here as we don’t like rock stars nether. Today After listening again the take my breath away of Gui Borrato released in 2009 , I will make an exception. I may explain why and the reasons behind it. I feel sometimes we are too Eurocentric , for instance apart from few Australian, we never write often regarding artist from other parts of the world. Sometimes its a question of diversity and lack of knowledge, and some others the lack of readers and friends contribution from countries beyond Europe. 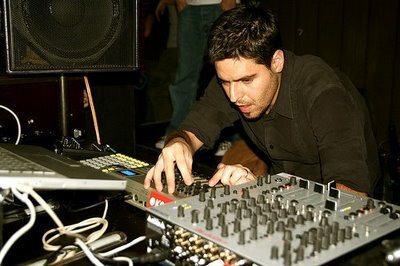 Gui Borrato is a techno/tech house/house and minimal orientated dj and producer originally from Brazil. Although Brazil is a poor country , there is a huge party scene , amazing djs , music producers and beaches especially in the south part of the country if you plan to visit some time soon. We are certainly look forward to visit the next years and write more things concerning latin american party sence as well. Gui Borrato is definitely one of the most talented djs from that part of the globe , currently playing almost everywhere-biggest-best clubs of the world and so on .A good example could be Berghain/panorama bar where Gui Borato is often there as I remember or as I can check on google. He counts many of good collaborations as well as two albums both released at Kompakt (popular label based on Cologne) and tones of remixes some very nice indeed.At Wikipedia you can find the whole list with Gui Borrato’s work. Personally the motivation to write about Gui Borrato was his album “take my breath away” which even though that genre usually is far away of my taste of music , I found it interesting this evening. I bet many of you like Gui Borrato therefore I recommend an article and an interview found on the web from various blogs with further information , perhaps announced gigs etc. Bellow you can find a nice track from “take my breath away”. Unfortunately I didn’t find anything on soundcloud. February 22, 2011 in articles, artists, special editions, techno. thanks a lot mates ..